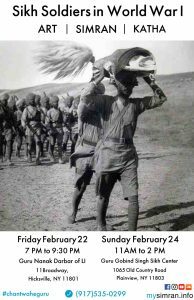 On Friday, February 22nd and Sunday February 24th there will be a special exhibit organized in NYC recognizing Sikhs in World War 1. 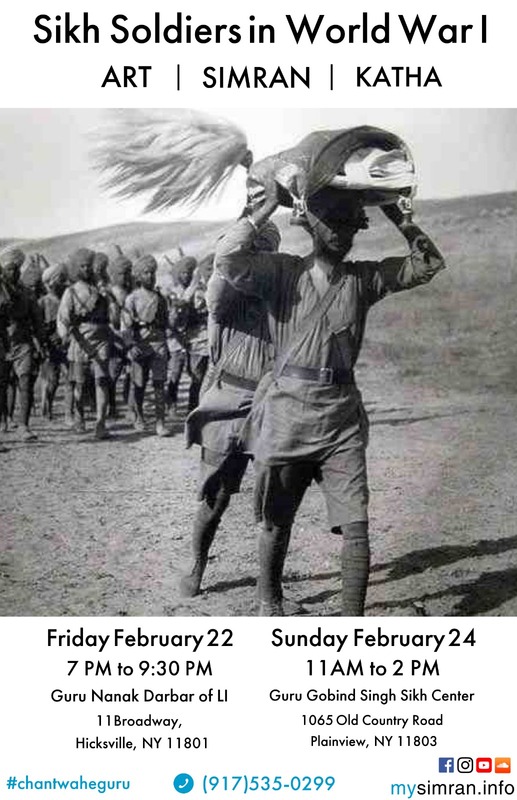 The purpose of this event is to spread awareness of the brave sacrifices of our forefathers and build the youth’s confidence in their Sikh identity. Katha will highlight the mindset of the Sikh Soldiers and teach us how to apply the same Sikh values in our daily lives.